What's new in my art world and Walleye Cards publishing this year of 2019? See below. During 2019 I will be reprinting popular cards and journals of which I am out of stock, so please bear with me as we go into production. I will be releasing new journals and new cards this year. 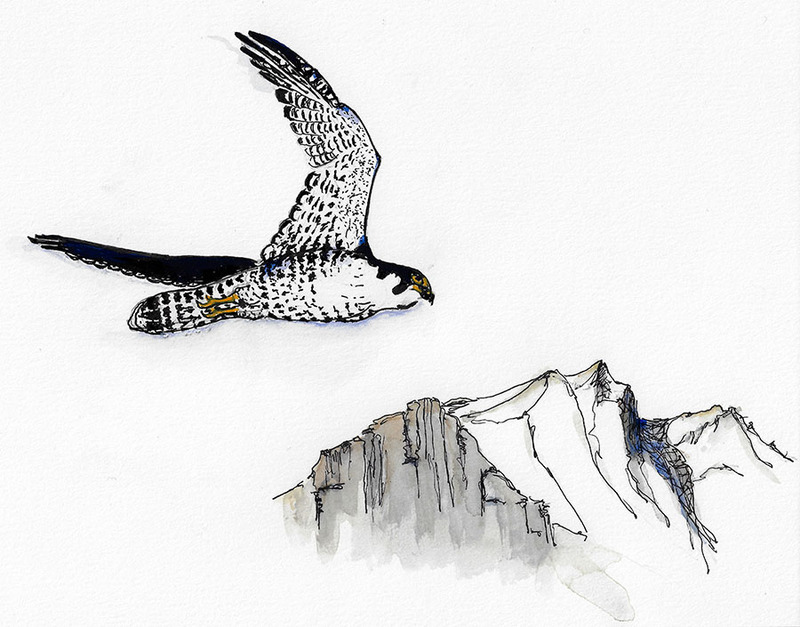 I'm also working hard on a book of illustrated wildlife stories. Thank you to my customers for your continued support, I’m sending you all goodness and happiness for 2019. 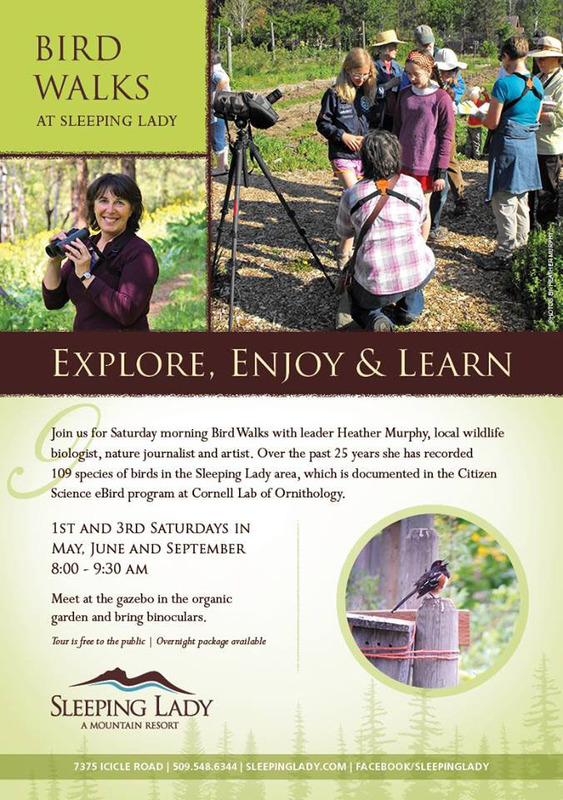 The Bird Walks find observations in the habitats of Sleeping Lady Mountain Resort, co-led by wildlife biologist/artist Heather A. Wallis Murphy and bird-spotter Patrick Murphy from 8:00 to 9:30 am beginning at the Sleeping Lady Organic Garden, 7375 Icicle Road, Leavenworth WA 98826. The cost is free to the public. 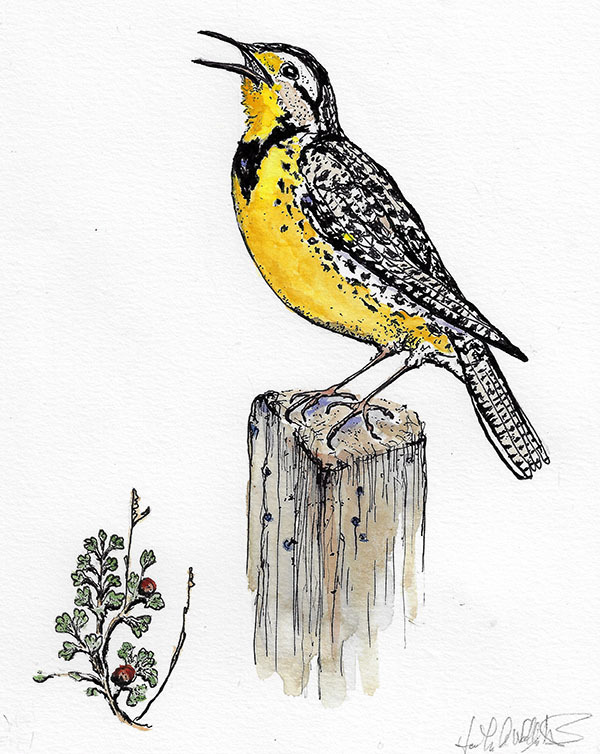 *Please note: the May 18 Bird Walk with Leavenworth Spring Bird Fest is from 8:00 am to 10:00 am and will be on Icicle Creek Center for the Arts and Leavenworth National Fish Hatchery lands. Upper Basin Birders day long adventure of wetlands habitats and their birds. Includes pontoon boat, short hikes and lunch. Led by Heather & Pat Murphy and Jane & John Zanol from 6:00 am to 3:00 pm. 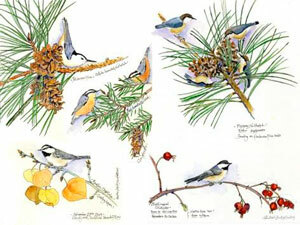 Register ahead with Wenatchee River Institute at Leavenworth Spring Bird Fest. 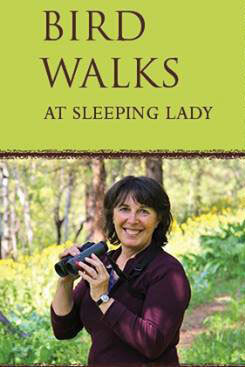 Birds of Sleeping Lady led by Heather & Pat Murphy from 8:00am to 10:00 am. Free, meet at the Organic Garden. 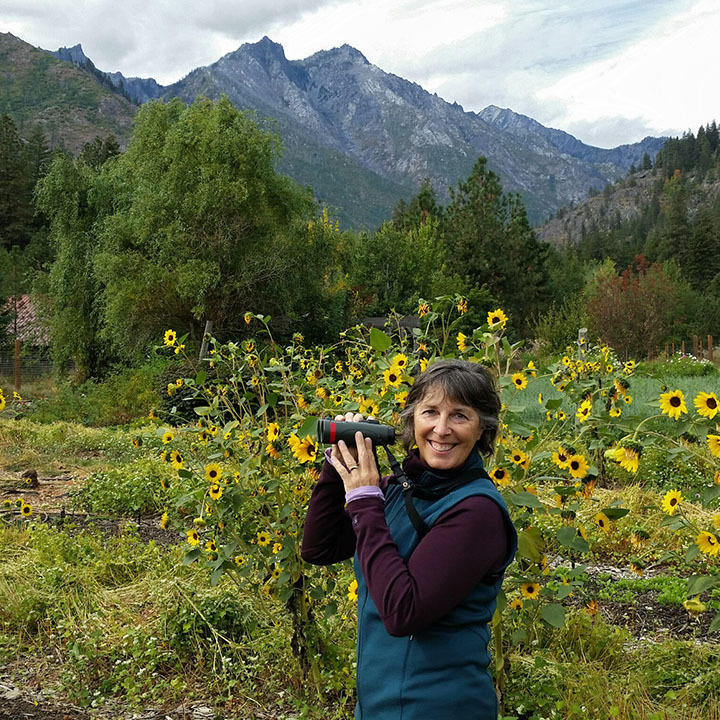 Check in with Plain Valley Adventure Women where Heather will be leading an alpine and fire ecology birding walk. Hard backboard/Clip board/Block/Journal (something sturdy to draw on). Suggested colors for field use (*minimum). Hazard Notes: Above recommended paints are “easy on the land” for field applications. Other paints may have toxic pigments which include - cadmium, cobalt, manganese, mercury, lead, chrome - if working with those, do not inhale, taste or touch these toxic pigments.